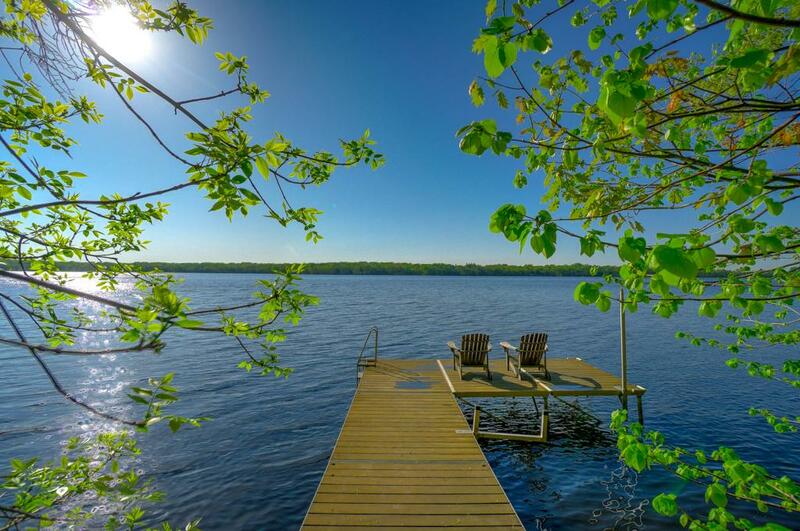 Private retreat on the island of North Oaks on Pleasant Lake. Custom built, architect designed, stunning contemporary home with wide sweeping views of the lakeshore below. Generous spaces, open floor plan, 2 story great room with loft and multiple decks. Gourmet kitchen with high end appliances, built in wok, center island, 2 sinks, desk area & more. Luxurious master suite has it all. Lower level has additional flex space of 22' X 25' for whatever fits your lifestyle. Move in & enjoy! Directions - From West Pleasant Lake Road, go south on Island Road to home on left.